Winter sightseeing tours are a great way to discover the beauty, wildlife and top attractions in Lake Louise. On these Banff and Lake Louise winter tours, local guides will lead you through this icy wilderness, teaching you about the natural environment, historic sights, and even how wildlife survive in the winter. 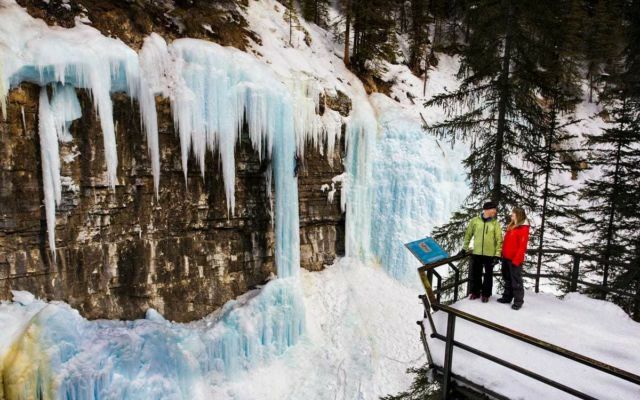 Choose from a variety of winter sightseeing tours designed to get you connected with Banff National Park is an easy and convenient way. 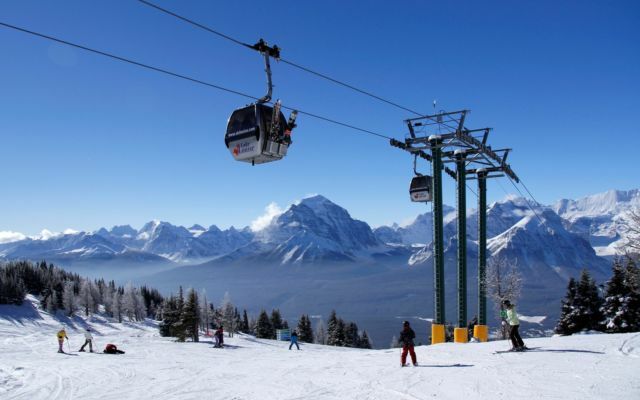 If you wish to create your own itinerary, we recommend strolling the shoreline of Lake Louise, skating, snowshoeing, riding the Lake Louise winter gondola to the top of a mountain and Johnston's Canyon IceWalk. These guys offer a variety of amazing tours and activities that go well beyond driving you around. Their professional guides share history, wildlife stories, and knowledge while you take in some of the best sights and activities in Banff National Park. 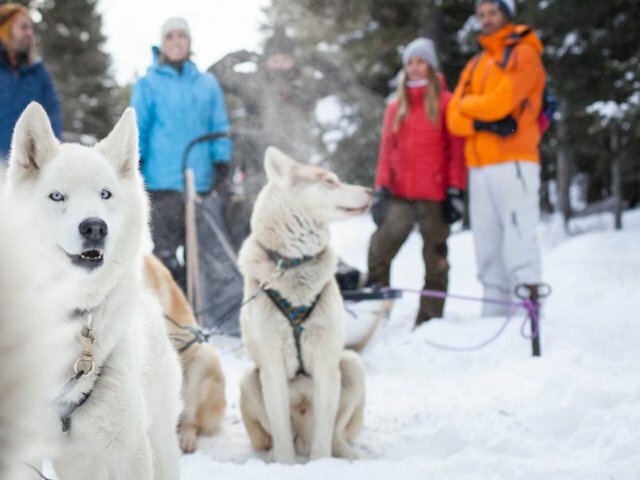 The only dog sledding tour outfit in Banff National Park, Kingmik delivers an exhilarating mushing experience. 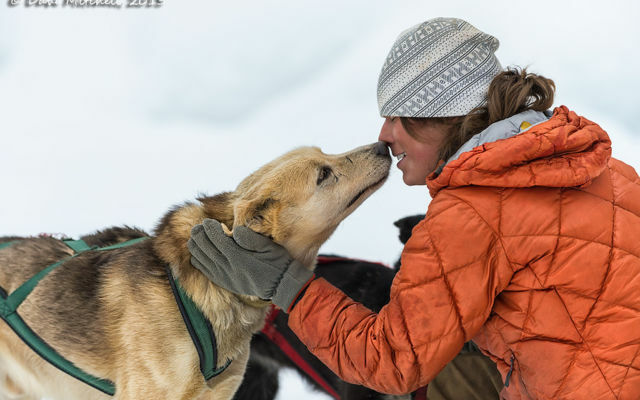 For a treasured lifetime memory, come mushing with their happy and hard-working Alaskan Huskies. Book early as space is very limited and this tour is popular. Climbing 500 feet per minute gets you above the peaks to take in the vast Rocky Mountain landscapes, glaciers, streams and rivers of Jasper National Park. 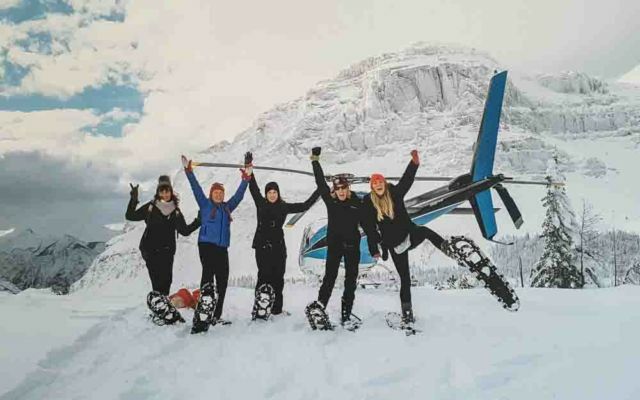 There are a variety of helicopter tours available to the Cline and Wilson Glaciers, as well as a tour to the Columbia Icefield. Few people experience the Rockies by air and we think it is an experience that you will remember for a lifetime. 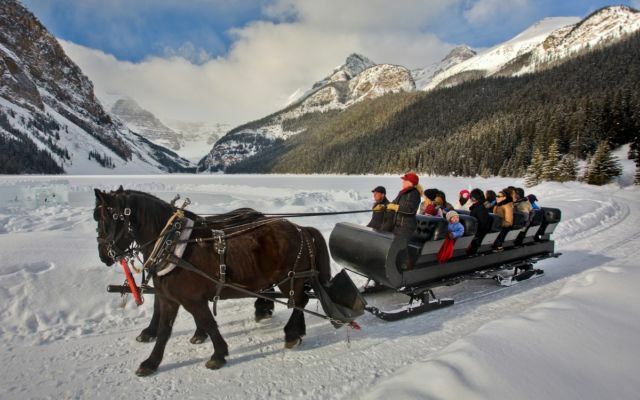 Brewster Adventures brings a Christmas card image to life at Lake Louise with a sleigh ride that follows the lake-side trail beneath Victoria Glacier. Enjoy views of the Ice Falls at the end of the lake by day, or the glow of the Fairmont Chateau Lake Louise on evening rides.